Connect with Facebook and Game Center friends, then help each other win and expand. Send Supply Crates back and forth for bonus starting cash. Visit friends' cities to check out their strategies and their city design skills, and while you're there root out any bloon spies to win a reward for both you and your friend. Pro tip: You can move your buildings when they are not upgrading or damaged - just tap and hold then move to a free captured tile! 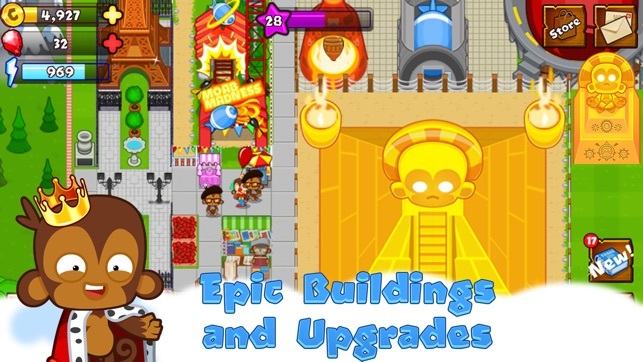 Bloons Monkey City is free to download and play (aside from internet, carrier, data, device, and other services for which the player is financially responsible), but some in-game items can be purchased with real money. You can turn off the payment feature by disabling in-app purchases in your device's settings, or reach us at support@ninjakiwi.com for help. City data is organized individually, so if you share multiple cities on one device through multiple Game Center or Facebook logins, do note that your IAP will only apply to the city active during purchase. 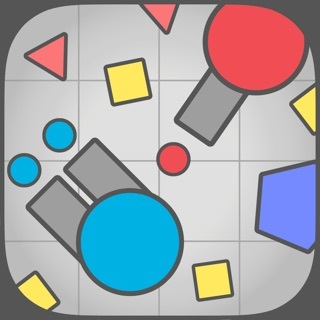 Don't spend 5 bucks on BTD5! This is AWESOME! 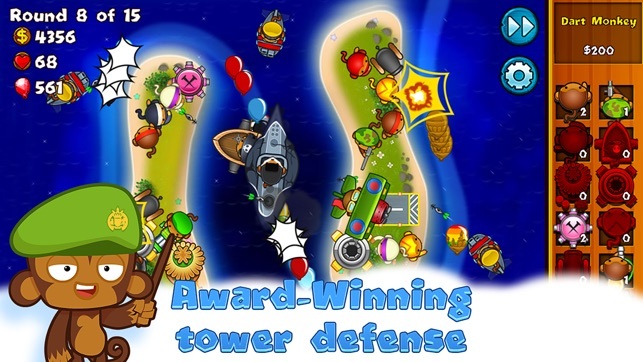 It has all of the awesome features of regular 5 dollar btd, and more. And it's free! You get to build your own city of monkeys; which I realize it makes this game seem like every other game out there. But it's not. While there are in app purchases, I would still say that this game is COMPLETELY free. You can buy gems sure, but they don't pressure you to, and I haven't needed them yet. This game is great, it it does have a couple of flaws. Capturing more territory gets to be a chore. I figure if you can add a skip-to-end button that you can use ONLY when capturing more territory for your city, the building process would be a lot more fun. My other beef with this game is that the contested territory constantly changing is annoying. Really annoying. I know this may sound stupid, but I don't like how y'all try to make this game harder by restricting my favorite monkeys. 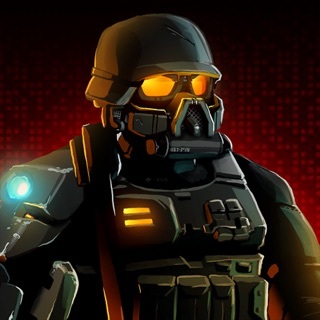 If you could add a mode where you choose a map and then just play infinite rounds where the difficulty kept increasing would be (WITH NO RESTRICTIONS) would be absolutely awesome. Despite these shortcomings, this game is still totally awesome, and would totally recommend to anybody who has ever played btd. Or anybody who hasn't! Thanks Ninja Kiwi! Update: I'm an idiot. I just learned that the infinite rounds thing does exist! It's under my tracks... increasing to five!!! 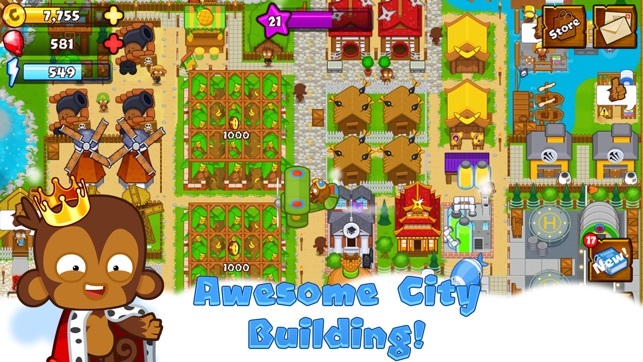 This game allows you to use monkeys to capture land for your city making it bigger. The difficulties of your levels increase the farther out you go from your city. If a level is rated hard and you upgrade your monkeys the difficulty changes to be easier and easier. If you like B.T.D. 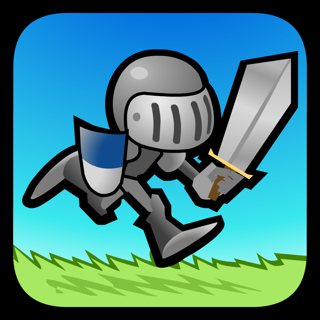 you should download this game. Bloonstones (gems) are easy to get. Regular levels give you 2 bloonstones, Xp, and coins if you lose no lives. Some levels such as special ones give you bloonstones even if you lose all but one life. Some special levels give you 150+ bloonstones. Some monkeys are restricted on certain levels increasing the difficulty but there is always more monkeys to choose from. There is a contested territory selection in which players compete to gain control of special land that does a not add land to your city. If you gain control of it you can get money, and when it's over you get bloonstones for the time you held it. The longer you hold it the more money and bloonstones you get. Each and every monkey has 8 upgrades you van purchase in the city. However you can only purchase up to 6 in the round you are on. I suggest to anyone who reads this to get this game right away. Have fun and good luck! Enjoy! My friend recommended Bloons Monkey City to me a while ago. I started playing and I thought it was pretty fun. It was exciting for me to unlock new stuff like Contested Territory and Monkey Knowledge. And it is free! There are In-Game purchases though. But it doesn't force you to pay money to pay for them. Like my friend recommended it to me if you haven't played it yet I would really suggest you would try it out. It also gets more fun the higher level you are. 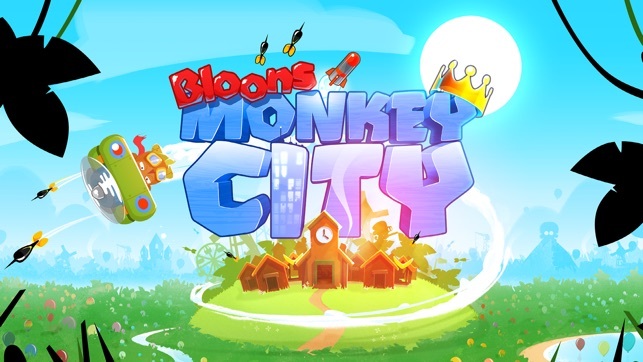 I love lots of games made by ninja kiwi but Bloons Monkey City is my favorite. But there are a few problems like most if not all games. I dislike it when advertisements are just thrown at me right after I beat a tile or something. I think it is fine that you can skip 15 minutes of a building being built if you watch a video. But as I was saying sometimes random videos will turn on. It annoys me but that is not a huge problem. This game is really fun especially when you get to higher levels. If you haven't tried it out yet you should do so. I enjoy the game a lot and I hope you do too.